Abstract: Mr. Belka will discuss a variety of emerging technologies, including social networking, and how Fidelity Investments as one of the worldâ€™s leading financial institutions, looks at applying many of them in their environment to enhance the user experience and improve business results. Sean Belka is Senior Vice President, Director of Fidelity Center for Applied Technology (FCAT), a unit of Fidelity Investments, the largest mutual fund company in the United States, the No. 1 provider of workplace retirement savings plans and a leading online brokerage firm. FCATâ€™s vision is to serve as Fidelityâ€™s idea and innovation catalyst, helping Fidelityâ€™s employees and businesses to imagine and realize the possibilities of emerging technologies and new ideas. 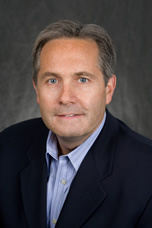 Mr. Belka joined Fidelity in 1993 to lead marketing and product development for Fidelity Trust Company. In 1997, he became Senior Vice President of mutual fund customer marketing for Fidelity Personal Investing (FPI). In 1998, he transitioned to FPIâ€™s Core Segment, where he led Fidelityâ€™s efforts to better understand and serve its mass market and mass affluent customers. From 1999 to 2000, Mr. Belka served in FPIâ€™s Online Brokerage unit, where he was responsible for Fidelityâ€™s strategic partnerships with online content providers, marketing partners and online capabilities providers. From 2001 to 2003, Mr. Belka led FPIâ€™s market research, database marketing, CRM, lead management and customer analysis and modeling functions. From 2003 to 2005, Mr. Belka led FPIâ€™s customer strategy and marketing efforts for Emerging, Engaged, Established, High Net Worth, Active Trader and Corporate Employee segments and was also responsible for FPIâ€™s direct acquisition efforts and online marketing. Prior to his current role, Mr. Belka was Senior Vice President, Online Strategy, where he led the re-design of fidelity.com, transforming it into a more content rich and engaging experience. Prior to joining Fidelity, Mr. Belka was a senior vice president for Digitas, LLC in Boston. His responsibilities included client engagement with start-up and blue chip companies, providing strategy, CRM, Web and direct marketing services. Previously, Mr. Belka was a marketing director for Advanta Credit Cards (now Bank of America) in Philadelphia, where he led customer acquisition, new product development and customer development and retention. He previously worked in strategic planning and new product development at Sallie Mae. Mr. Belka began his career at Citibank, where he was a member of the Management Associate program and a marketing executive in the credit card division.